Today I got Free Reliance USB External data card after paying Rs. 3704(1000*3 for Three months advance rental + taxs +300 for registration). This is really very cool device, now I am able to connect anywhere. The speed is not very fast as it connects at 115 Kbps, and 5Kbps to 80Kbps in realtime. hi pal!! nice machine!! hp dv 2117 comes with media center edition?? u sure.. coz i enquired here in delhi and its without media center edition??? where did u purchase it from and for how much? Dear Akhil,how long hv you had this machine.I ve really liked this piece but am hearing that Hp has stopped the production of this series. i m planning to buy it but it is coming with media center &#38; i want DOS or any other free os on it. from where i can get it. I bought this Laptop a month back, I have installed Linux Fedora Core 4, its a big trouble configuring network (Intel pro/100) does anyone here have tried it? 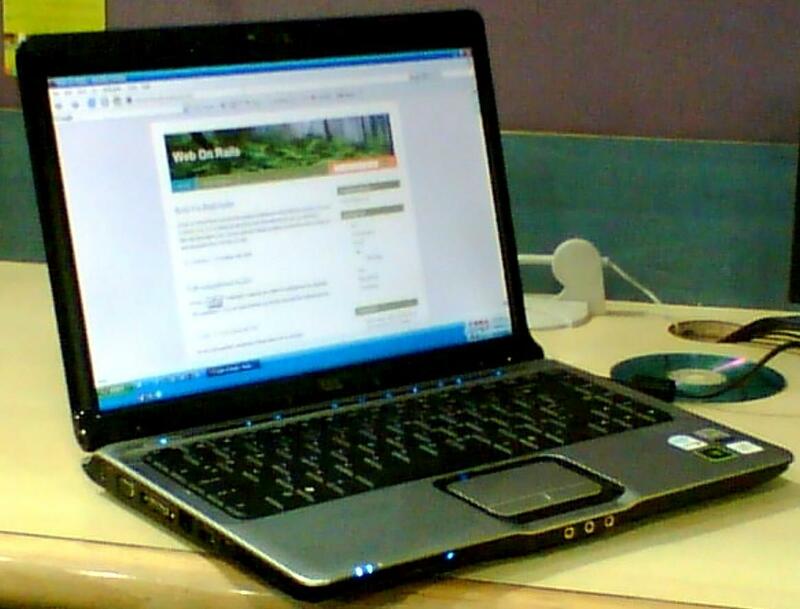 We bought it from a HP showroom with same configuration,but it costs only 58,500/-. I gifted a Same configuration to my loving wife…..
Those who bought the hp pavilion notebook in between 1st nov-31dec they will get a tv tuner free worth 6500/-. I have installed Ubuntu 7.10 on this machine. It is working fine but webcam is not working. Any idea?